The confusion and stress of a critical injury doesn’t end with initial treatment. From patrolling a combat theater overseas, to patrolling city streets and borders in the U.S., wounded responders face new hardships; profound isolation from family and friends, the sudden loss of connection to comrades, and long hours in pain with little to do but relive the injury, these hardships can detract from a full recovery and add to post-traumatic stress and depression. 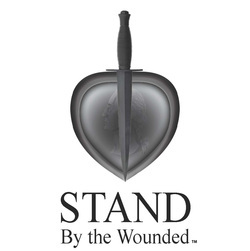 Stand By the Wounded is a 501(c)(3) (EIN 45-2592861) nonprofit organization dedicated to supporting the needs of critically wounded military personnel, veterans, and first responders at the Federal, State and Local level. While doctors and nurses attend to the immediate medical needs, Stand By the Wounded strives to identify and fill less obvious voids in long term care. We have partnered with The Comeback Initiative, dedicated to providing performance training, physical therapy, injury prevention strategies and performance nutrition at one of several elite facilities throughout the country. Their methods are proven-professional athletes use these same strategies, trainers and facilities to rehabilitate after an injury. That same level of service and support is provided to those critically wounded while serving our country. Stand By the Wounded provides funding and access to world-class facilities for patients who meet the criteria, offering the chance to recover from life-altering injuries and return to duty.